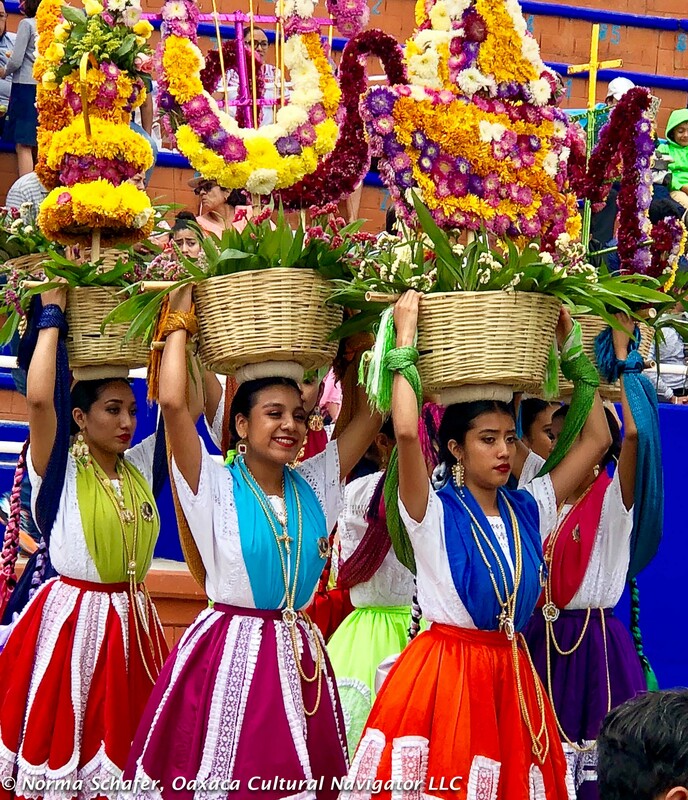 The “alternative” Guelaguetza in Santa Maria del Tule started with the crowd-pleasing favorite, the Chinas Oaxaqueñas. I don’t know how the tradition of the name originated. Can anyone out there offer an answer? Perhaps it is simply Oaxaca’s version of the Chinas Poblanas of Puebla. Their beaded blouses had origins in the Philippines and were likely imported on Spanish trade galleons coming from Asia to Mexico. Women from the Philippines came to Mexico in this fashion, too. Goods landed at Acapulco and shipped overland to Veracruz, with a cross-roads stop at Puebla. It is said that the mantilla and rebozo/shawl with hand-knotted fringes had its origins in Asia, too. Spanish women loved this look then. We love it now. This entry was posted in Clothing Design, Cultural Commentary, Oaxaca travel, Textiles, Tapestries & Weaving and tagged China Oaxaquena, China Poblana, guelaguetza 2018, Mexico, Oaxaca, santa maria del tule. Bookmark the permalink.